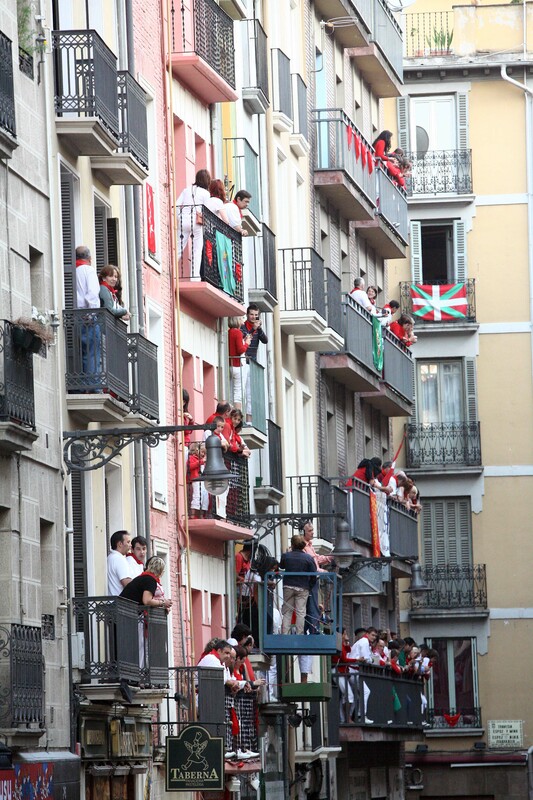 Balconies to see the running of the bulls, what is yours? 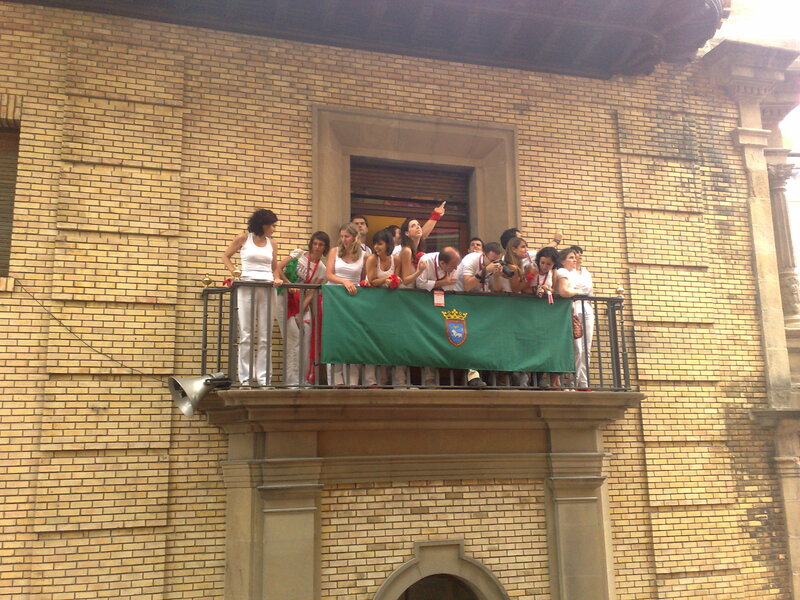 The best way to see the running of the bulls is from a Balcony. The owners of the buildings where are on the old way to see the running of the bulls rent their balconies during the Festival. There are different reasons to choose a balcony: one is because you want to be very close of the bulls, the people who run; another it´s that you´d like to see a big view; another that you want also to enjoy in a beautiful living room talking with another people before and after the running of the bulls; another because you want to see just one of the part that is divided the race, etc, etc. Esta entrada fue publicada en Encierro, individual travellers, mesientabiensanfermin, Navarra, Personal, running of the bulls, San Fermin Festival, Tradición/historia/popular y etiquetada balconies, balcony, encierro, running of the bulls, san fermin, tickets. Guarda el enlace permanente.